The Littlest Angel tells the story of a young boy who arrives in heaven before his time. Home-sick and lonely, he will travel back to earth, with his friendly pup Halo, to retrieve a most selfless and precious gift for The Baby Jesus. First released in book form in 1946, The Littlest Angel became popular for its ornate words and phrases paired with beautifully muted oil paintings. Tazewell’s book was adapted into a TV musical in 1969 starring Johnny Whitaker, and theatrical versions continue to be done by schools and church groups today. The author would follow-up with another childhood favorite, “The Littlest Snowman,” that would be read annually on the “Captain Kangaroo” show. 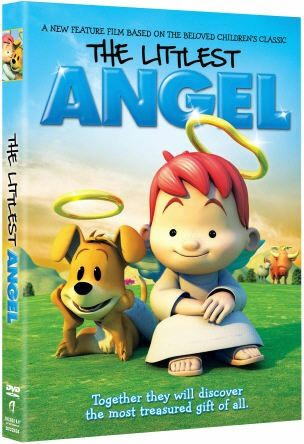 Comments for The Littlest Angel Children’s Story Arrives on DVD November 15th are now closed.